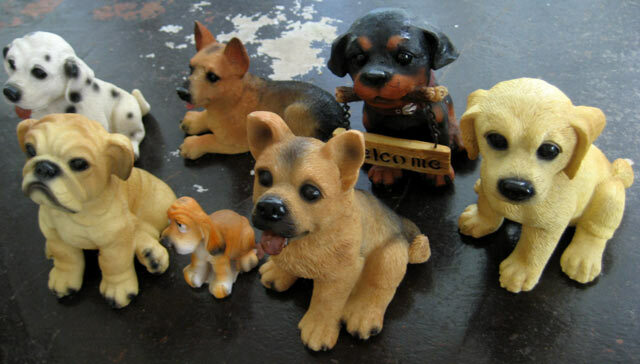 My son arranged the dog figurines that my wife and I recently found then blurted out "Who wants the ball?". He was of course referring to this scene from the Pixar movie Up. That kid has a got a sense of humor in him that never fails to get me and my wife laughing.